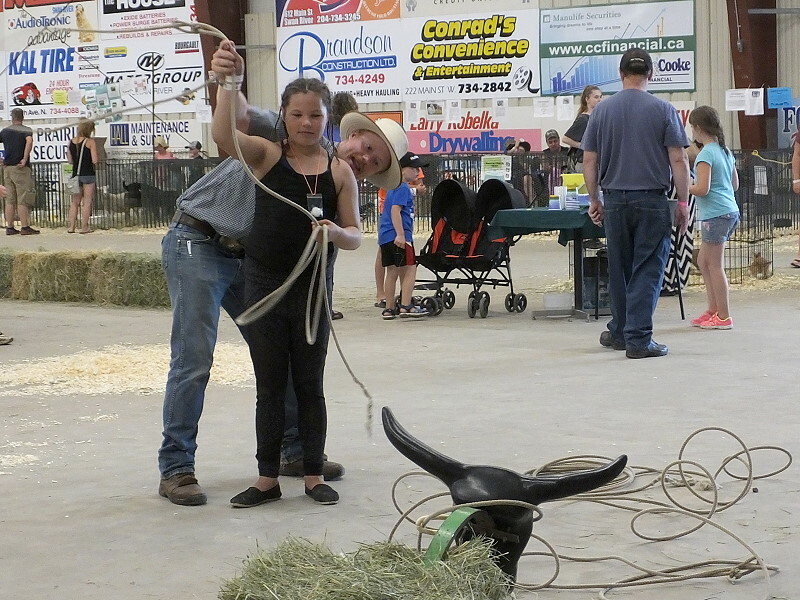 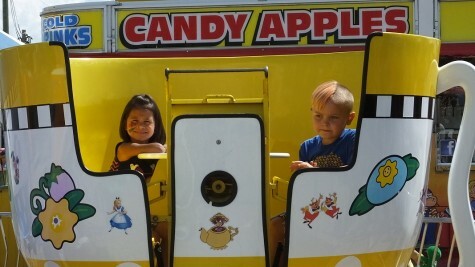 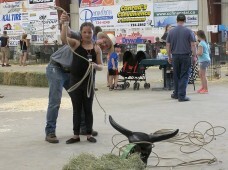 The Northwest Roundup and Exhibition is a place of wonder and excitement for youngsters. 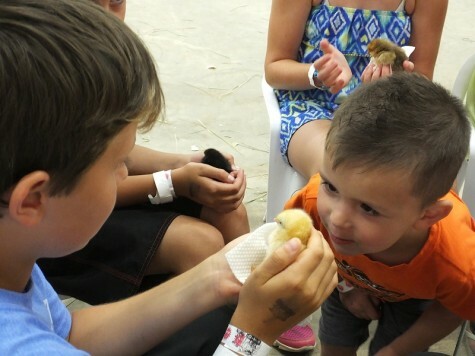 The Down on the Farm exhibit lets kids get up close and personal with a larger variety of farm animals. 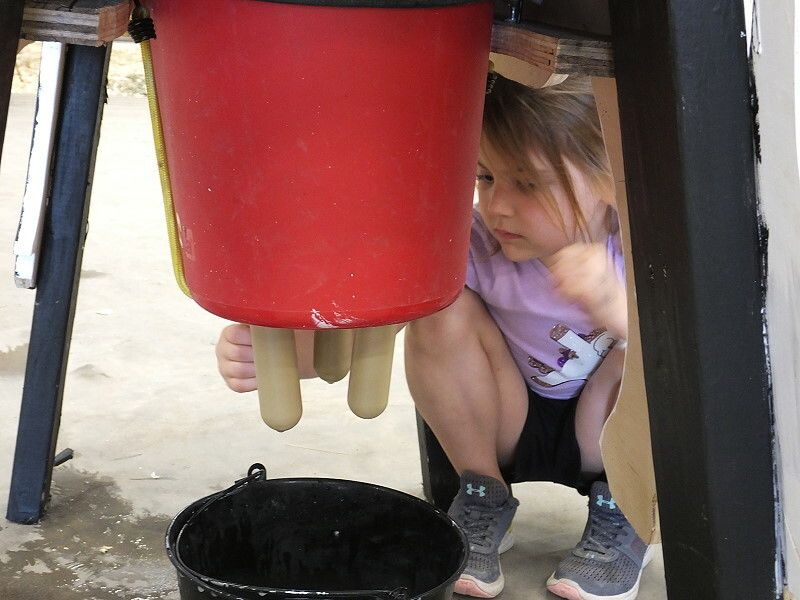 It is a great place to take a break from the heat of the day and relax with some free interactive activities for kids of all ages. 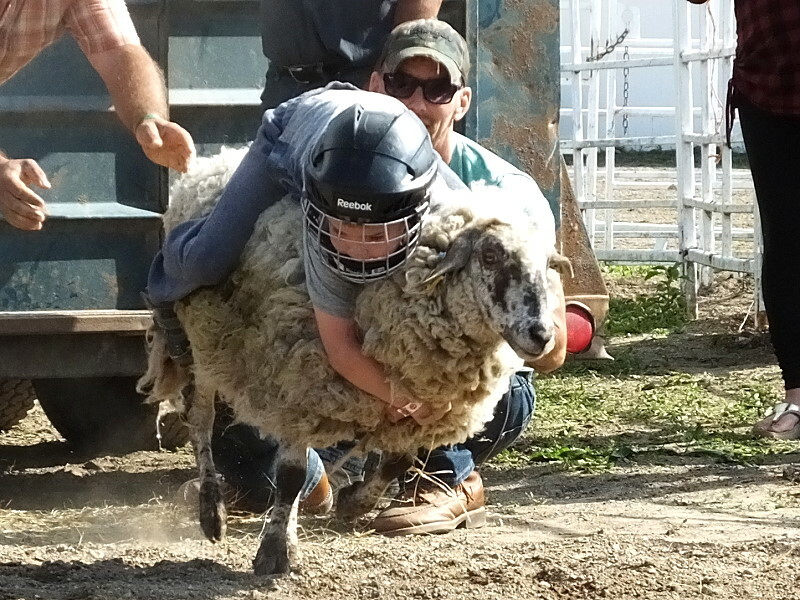 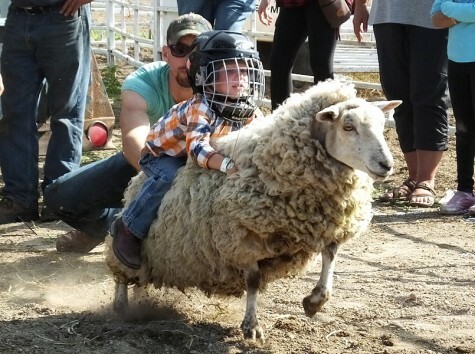 Kids who want even more interaction can try their hand at mutton busting. 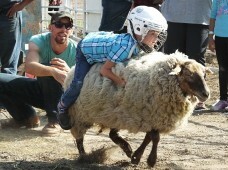 Older children showed their unfaltering resolve to ride a wild pony. 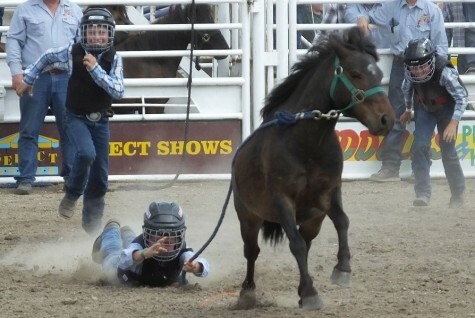 Some very determined kids got very dusty trying to get control of their pony so their teammate could climb on for a ride. 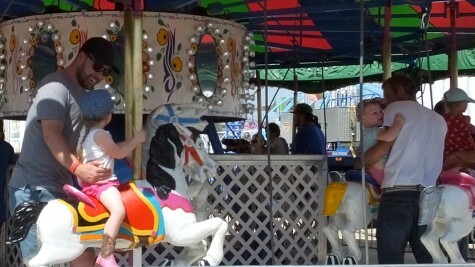 The lights and sounds of the midway always a popular attraction for kids of all ages.